Choose a wireless management system that you can trust. A wireless budget is a blueprint for a company’s mobile spend. It doesn’t matter if you use an internal spreadsheet to track expenses or rely on an additional accounting provider. Whatever you rely on, you need to make sure that your expense management program aligns with all of the mobile devices in your company. It’s nice to have an internal specialist to manage your wireless expense, but sometimes that’s simply not enough. Growing companies need the help of a team of experts. 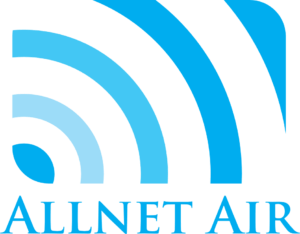 With over 30 years of telecom experience, the team at Allnet can assist in determining the right wireless plans to support your company’s growth. Small and mid-sized businesses can use the support of a veteran mobile team to help keep wireless budgets low. With the assistance of a wireless account manager, you will never have to worry about an inaccurate budget or billing errors. This is especially true with the industry’s best wireless management system by Allnet. To make your job easier, we manage your wireless expenses, make proactive changes during a billing cycle, and insure that your company is using the optimal data plan for your needs. With Allnet’s wireless management solutions, you can expect to receive real-time results for record-low costs. With our wireless management support program, we will provide you with the advice that provides your company significant savings. Allnet has flourished as the industry’s top source for telecommunication solutions. With almost 40 years of experience in the wireless industry and a team of sharp-minded specialists, we’ve grown into a leading wireless management company across the nation. It doesn’t matter if your company operates with just a handful of tablets, or with hundreds of smartphones. We have what it takes to support your office with the solutions that you need. Today, we provide wireless management support to organizations with 15 to over 2,000 mobile devices. At Allnet, we will design a customized plan that is optimal for your company’s success. If you’re searching for a reliable wireless manager, get in touch with one of our certified experts. We’ll set up an expense management solution that helps your organization a ton of money. Contact our office at (847) 457-9543 to learn more about any of our managed service options.